Lucky Day is just right for your St Patrick's Day table. Table runner finishes 20" x 44". 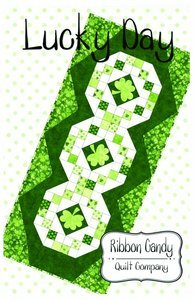 Shamrocks are appliqued using fusible web.